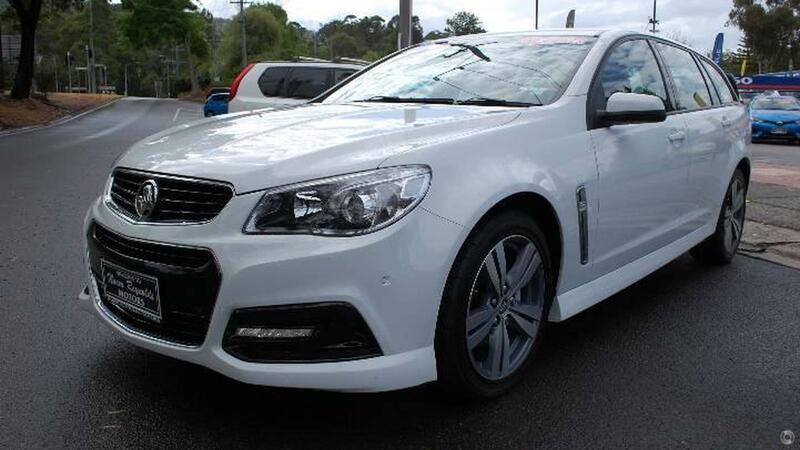 This 2013 Commodore Vf SV6 Sportswagon Automatic, Is in Pristine Cond. One Owner. And is packed with features as listed Below. Must be seen!! Comes with Full service History. And has only travelled 48587 kms. Features Include Front and Side Curtain - Airbags, Traction Control, Abs Brakes, Cruise Control, Partial Leather Trim. Reverse Camera. Great Value Luxury Wagon. RACV TESTED INC 12 MONTHS TOTAL CARE MEMBERSHIP TOTAL VALUED AT $450.00 SINCE 1974. LMCT- 15 MONTHS 25,000 KMS Warranty. Finance Available. Trade ins Welcome. Genuine Enquries only Thanks. We are 10 Mins From Located at the Base of the . WHERE THE HIGHWAY MEETS THE HILLS We are Open Monday to Friday 8.00am To 5.30 pm - Saturday 8.00 To 5.00pm. ASK ABOUT OUR HOME OR OFFICE TEST DRIVE ! !